Don’t let the number of steps in this recipe scare you off. The effort isn’t really that great, but the flavours in this fresh and crispy salad are. Total Time: Prep 15 Min. Cook: 6 Min. 1. Place the garlic and oil in a small measuring cup or ramekin. 2. Cover tightly with plastic wrap and microwave for 30 seconds. Transfer garlic to a small bowl. Reserve oil. 3. Using a fork, coarsely mash garlic. Add basil, vinegar and mustard to mashed garlic. Whisk until smooth. 5. Mix Panko, thyme, parsley, basil, pepper and salt in a medium bowl to blend. 6. Dip each cheese round into egg whites, turning to coat. 7. Coat each round with Panko mixture. Transfer coated cheese rounds to a plate. Cover with plastic wrap and refrigerate at least 1 hour and up to 8 hours. 8. 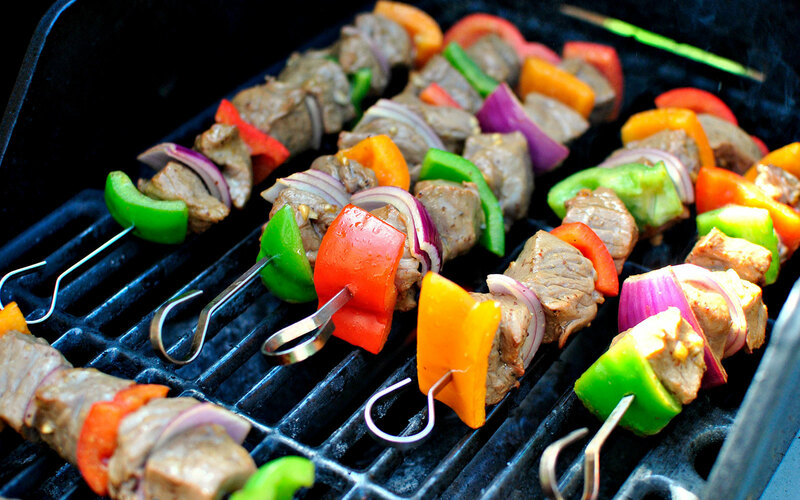 Heat the grill to medium-high heat. 9. Heat 1 tablespoon olive oil in a heavy large nonstick skillet over medium-high heat. Add the cheese rounds and cook until golden crisp, about 3 minutes per side. Transfer to plate. 10. Brush bread slices on both sides with olive oil. Grill until beginning to toast, about 3 minutes per side. Transfer to plate. 11. Place washed greens in a large bowl and toss with all but 2 tablespoons of vinaigrette, season to taste with salt and pepper. 12. Divide salad among 6 plates. Top each with 1 cheese round and 1 slice of grilled bread. 13. 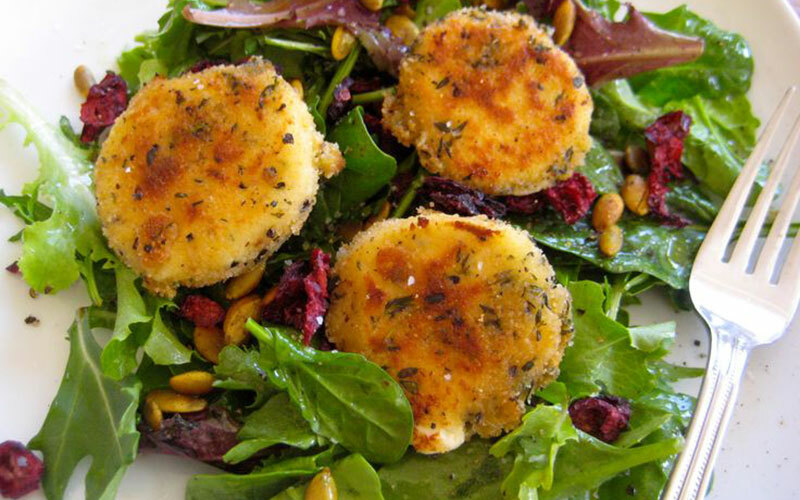 Drizzle cheese rounds with remaining 2 tablespoons of vinaigrette and serve.